A review of United Health Insurance Company of America finds that there is no insurance company operating by this name. Instead, we’ll take a look at OneAmerica, a company that provides life insurance and retirement plans to individuals personally, and though their employers. Although OneAmerica doesn’t sell health insurance, you can still find health insurance rates here by typing your zip code into the free box above. 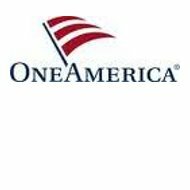 OneAmerica is a group of insurance companies operating under the corporate name OneAmerica Financial Partners, Inc. All of the companies are part of a holding company, American United Mutual Insurance Holding Company. OneAmerica, which is based in Indiana, had total assets of more than $24 billion at the end of 2010. Its headquarters in Indianapolis is known as OneAmerica Tower — a 38-story building that’s been a big part of the city skyline since 1982. It also sells an asset-based solution for long-term care, as well as various types of annuities. Depending on the policyholder’s age, OneAmerica’s American Protector Plus series of term life policies are available in 10-, 15-, 20-, and 30-year plans. All are guaranteed renewable, up to age 95. Child benefits and waivers are available on these plans. The three different whole life insurance policies–Legacy, Legacy 121, and Liberty Select–all address different needs. If you’re looking for guaranteed premiums, dividend options, flexibility, coverage until age 121, and an option for charitable giving, then one or more of these policies will work for you. OneAmerica has two different universal life insurance plans to choose from, Optimum Accumulator and American Accumulator. Both offer flexible options so that you can personalize your policy. Universal life insurance policies bank your premium payments, acting as a type of savings account from which you can withdraw funds during the life of the plan. To find out more about universal life coverage from OneAmerica, or any of its other life insurance plans, you should call and speak to a representative directly. Through its life insurance subsidiary, American United Life Insurance Company, OneAmerica has received a financial strength rating of “A+” or “Superior” from A.M. Best Company. American United Life Insurance has also received an issuer credit rating of “aa-,” which is also “superior,” as part of a recent upgrade of its rating from A.M. Best. OneAmerica has also received a rating of “AA-” from Standard and Poor’s, which means its financial strength is “very strong.” Both A.M. Best and Standard and Poor’s have given a stable outlook for OneAmerican and its subsidiaries. While everybody should have life insurance coverage to protect themselves, health insurance coverage is equally important. Type your zip code into the free box below and find health insurance quotes for top companies in your area!